The stiff breeze favoured the Dart fleet with Tony Rees and Jo Mullet taking full advantage, quickly asserting a commanding lead that they would never lose, making this their second consecutive Pursuit Race victory. Once again, a thank you to the MYC and to Dai Thomas for providing safety cover. Also to Alyson Nicholson and Rachel Ace for running the race from the deck of Alyson’s Achilles 24, Myhtos – no mean feat given the conditions. 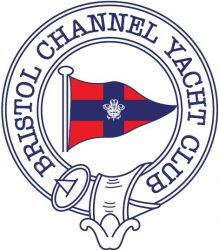 Next PostNext Bristol Channel Yacht Club Swansea Bay Regatta May 7th & 8th.